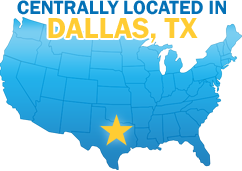 Located in convenient N. Dallas, Best Press is just minutes away from the North Dallas Tollway, George Bush Tollway and 635. We're easy to find and even easier to reach. Please feel free to contact us about any of our products and services and how we can address your communication needs. For all other questions or comments, email admin@bestpress.com or give us a call at 972-930-1000.